2016 was a life changing year for me. 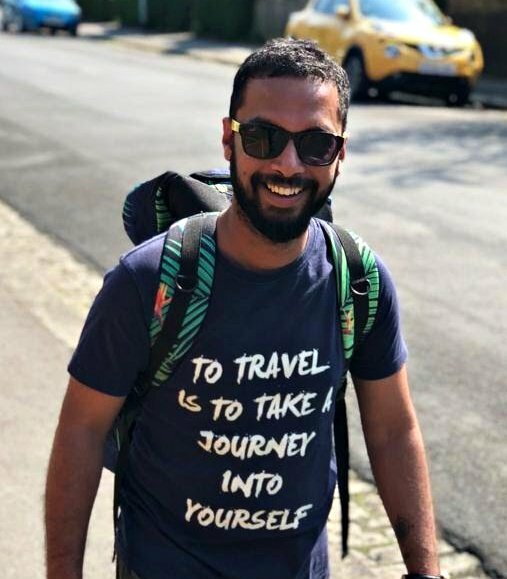 I quit my job and changed the stream all together, started this blog, traveled to and explored around 10 new places and moreover I did my first trek in May 2016 and that has changed me completely. Having started my trekking journey with Deoria Tal – Chandrashila in May followed by Kheerganga in August andTriund and Jalori Pass – Serlosar Lake in December, I thought of compiling a list of 24 trekking destinations for the 12 months of the year, in India which one should definitely think of doing as suggested by travelers and trekkers themselves. A trek in January definitely involves extreme cold temperatures and hiking in the snow. But Chadar Trek is unique in itself as here you are walking over ice. The Zanskar River that flows with such aplomb during the summers calms down and freezes during this time of the year. A blanket of ice or ‘chadar’ forms over the river, and you have a trek route that can be an experience of your lifetime. Surviving temperatures as low as -10 degrees in the morning and -35 degrees at night is no mean feat. Chadar has some of the harshest but beautiful campsites. You will encounter frozen waterfalls at places that will simply leave you wonder struck. The breathtaking views of golden mountains, frozen waterfalls, hanging icicles and the babble of river few inches below your feet is sure to mesmerize you. Though the Chadar Trek seems difficult, but it is definitely manageable. The trek itself is not very arduous, but the conditions are definitely challenging. Chadar trek is one of the best winter treks and those who have done Chadar has an extra aura around them. It is not every day, you get a chance to walk over a frozen river! Dhak Bahiri Trek in Sahyadris is easily one of the toughest treks not only in Maharashtra but in India. It starts on an easy note but the end leg of the trek is life threatening. Imagine dangling from a loose wooden log without any safety harness. One mistake and you fall in thousands of feet of sheer drop. Even the approach to that log was dangerous. I negotiated the narrow rock patches trusting only my will power and the thin metal wire mounted on the rock. The inclination was around 70 – 80 degrees throughout. The path was so narrow that throughout the last leg, the half of my sole was on the rock, the other half in the air. Many people give up at this point. This trek is infamous for being abandoned in the last leg. I put my life at stake and climbed up the moving wooden log gingerly. The feeling I got on reaching the top was unparalleled. I have done some Himalayan treks too but the satisfaction and self-worth I got here was unprecedented. What made the trek even more memorable was that on the previous night, I along with my co trekkers foraged the wood from the village and cooked our own food. What’s more? We slept in the open air and realized that the villages of Maharashtra can be pretty cold too in winters. I will always be proud of accomplishing this trek. Hiking to Triund in February is the perfect way to begin exploring the wonderful world of trekking in the Himalayas. The altitude at Triund top is approx. 3000m. AMS is usually known to affect people at higher altitudes. The path is well marked and there is little chance of someone losing their way. February is a great time to visit Triund, it is usually snowed out in February. Triund can easily be done as a day trek. It is roughly 6-7 kms from Galu Temple and takes 3-4 hours to climb up and two hours to come back. There is a lovely ridge on top to walk around and the views are spellbinding. Basic dhabas and facilities are available all along the trail from Galu Temple to Triund Top. There are two lodges for travellers to spend the night at Triund; and trekkers can also sleep in dhabas for a small fee. The basecamp is about 5.5 kms from the starting point. It takes around 4 hours to reach the base camp and the trail throughout the trek is easy except the last two stretches that is a bit tiring. Nepal is no stranger to mountains and some of the world’s highest mountains lie within its boundaries in the Himalayas. There are a lot of treks to choose from here, but the one that is the most challenging of them all is the Three Passes Trek. The trekking season in Nepalstarts in March, when the winter slowly gives way to the colourful spring season which ends on a high note just before the Indian monsoon. The 21 plus day trek offers you unmatchable views of the Everest region as you hike up and down the rugged terrain and through some of the remotest high altitude Sherpa villages in the world also experiencing their culture on the way. The trek takes you through, the Kongma La (5545m/18192ft), the Cho La (5420m/17782ft) and the Renjo La (5340m/17528ft); high passes that connect the valleys and villages of the Khumbu Himal and a bonus trip to the Mt. Everest Base Camp (5364m/17598ft) on the south side. If you feel that’s not enough, you can even add three high trekking peaks along with the high passes, namely Chukkung Ri (5550m/18209ft), Kalapatthar (5643m/18513ft) and Gokyo Ri (5357m/17575ft). This trek is the ultimate Everest experience! Not many winter treks can be done in January and February. Brahmatal that way is a classic winter trek for that period. For one, most of the trek is on snow, which makes it terribly exciting. Trekkers love camping beside the frozen shores of Bekaltal. Then, when you get to the open, snow covered meadows near Brahmatal, the full grandeur of the trek hits you. Stretched across the sky are the big mountains of Garhwal, and everywhere around you are the white undulating snow fields of Brahmatal. One more reason to do this trek in March and April is the crackling summit views. In May and June, when it is peak trekking season, the smoky haze over the mountains makes the views disappointing. However, in winter, which often extends to March, mountain views are worth dying for! More often than not, you see clear blue skies that stretch across the horizon. From the Brahmatal Top, you see mighty Himalayan ranges in every direction. Summits that rise above 7,000 meters are common and nowhere else in our country can you see these big mountains at such close quarters. Just to see this magic, one must trek between mid-December and March. Tungnath is the highest of the Panch Kedars in terms of altitude. However, it is surprisingly easy to trek to, especially on a good summer day. But make no mistake, it is a hugely rewarding trek for all seasons. The summers are great as always but the snow trek in the winter has its own charm. However, my favourite is the spring season around April when the hills get covered with red and pink rhododendron blossoms. The other USP of the region is the easy sighting of colourful Himalayan Monals, the state bird of Uttarakhand. From Tungnath, one can also trek upwards to the Chandrashila peak or go for another short trek to Deoria Tal. This trek starts from the Sari Village which is just a few kilometers away from Chopta. The Kedarkantha trek in the Garhwal region of Uttarakhand enthrall both the novice and the experienced trekkers alike. The trek begins from a quaint village named Sankri in the Supin valley. The drive to Sankri from Dehradun is one of the most beautiful journeys in the Himalayas with valleys, dense forests, and rivers giving you company all along. On reaching Sankri, you will be greeted by the pleasant fragrance of apple blooms in the orchards all around. The trekking trail starting from Sankri takes you along apple orchards, dense pinewoods, rhododendron forests, green meadows, lakes, and ridges before you summit the snow clad Kedarkantha peak. While the Juda ka Talab campsite is set on the banks of the twin lakes, the Kedarkantha basecamp is located in a beautiful clearing offering breathtaking views of the valley and the snow covered peaks. Once you summit the Kedarkantha at 12,500 ft, you will see some of the most popular mountain peaks like Swargarohini, Bandar Poonch, Kalanag, and Yamunotri ranges. The best part of this trek is, you get to experience all this awesomeness in just 4 days. By Mahesh Semwal (Semwal on Wheels )The Trek starts from Helang which is around 10 Kms before Joshimath. The first day trek covers 20 kms out of which 12-13 kms is steep. The final destination if the day is Dumak which is approached via Kalpeshwar. On the way one crosses villages of Lyari Panchdhara and Dhyan Badri. After visiting the Dhyan Badri temple one continues the journey to reach the beautiful village of Devgram which is 1.5 kms from Dhyan Badri .Devgram serves as the base camp for Kalpeshwar and Bansi Naryan trek. To reach Kalpeshwar one has to cross the river Kalpganga. Kalpeshwar is at a height of 2080 m above sea level and considered to be the fifth temple in panch kedar circuit of lord Shiva. Kalpeshwar is also the only temple of Panch Kedar which is open throughout the year. In Kalpeshwar Lord Shiva is worshiped in the form of Hair. After crossing the dense forest, bugyals & villages one reaches Dumak which is located at a height of 2400 m.
Next day the Final destination is Pannar Bugyal, which is also one of the beautiful Bugyals of Uttarakhand. It is situated at a height of 3500 mtrs and located 15 kms from village Dumak. On the last day day one gets to vist the temple of Rudarnath, on the way one also crosses Pitardhar which is at a height of 3800 m above sea level and is also the highest point of this trek. Rudarnath is considered to be the fourth and toughest among all Panch kedar, situated at a height of 3500 m above sea level. The Mukh or the face of the bull is worshiped here. Trekking in Uttarakhand could never have been this better with one more added to its list. Pangarchulla Peak Trek can be summed up to a larger than life theatre play unfolding different emotions all at the same time. You will witness love for the snow peaks, awe for the dramatic and changing views of the trails, adrenalin rush when you river raft and of course pride when you reach the summit. Pangarchulla is a gorgeous peak near to the Kauri Pass which is perched more or less at the height of 14,700 ft. The snow peaks ascending can be best enjoyed during the summer months between late April and early June. Trekking in the quiet Bhaba Valley of Kinnaur has been a routine for the local Shepherds and small groups of experienced Backpackers. The enchanting valley has remained off radars of Commercial Guided Trek Operators, until now. The lush Forest cover of Silver Birch, Pine and Oak Trees all around. We saw one of the healthiest Himalayan Forest in Western Himalayas. Pin Bhaba Pass is one of the shortest trans-Himalayan treks that Kinnaur has to offer. Its significance is understood by those who have done Pin Parvati Pass, its neighboring bigger sister trek. Entering the enchanting Bhaba Valley of Kinnaur. The Bhaba River glades through the valley, nourishing its fragile ecosystem. It eventually merges with Satluj River as its drains out of the Valley. To put it in perspective, Pin Bhaba Pass is a ‘Mini Pin Parvati Pass’ Trek in the making. It captures all the exciting aspect of Pin Parvati Trek in a shorter time span, is power packed with a stark contrast of an evergreen Bhaba Valley of Kinnaur and the mysterious Cold Desert of Pin Valley and it has picturesque camping grounds that are only inhabited by passing shepherd folks. Route finding, river crossing, traversing a near 5,000-meter snow pass is routine. The views from the pass are identical to what one gets from Pin Parvati Pass. In just 5 days of trekking, you get the money worth of an 11-day expedition trek that is Pin Parvati. It had been a lifelong dream to slow travel to Zanskar, perhaps the last vestige of Tibetan Buddhism in its true form that resulted in this epic journey, solo – without a guide or a porter. And I became the only Indian to trek from Lahaul to Zanskar (A 7-8 day trek). This was around the (end of July-beginning of August) last year. Read the part 2 of the list here. While the sheer beauty and wonder of the landscape makes me really want to go and experience this, I imagine you must really be fit and in very good shape to trek at those altitudes. Having said that, the reward for training and getting prepared would surely be worth the effort. Just a wonderful post illustrating how beautiful north India is. Thats the beauty of India, though being physically fit is a must, there are a lot of trekking options with difficulties ranging from easy to difficult. And there is something unique about each of the treks.